Dead Bug Creek is an immersive first-person adventure , You play as an alien explorer who is in search of The Ultimate Prize in a desert town called Dead Bug Creek, alongside a young girl name Flora. Explore the town, solve puzzles collect items, complete challenges and interact with the local people, animals and creatures to get clues where that prize is located. A game made from the ground up for virtual reality. 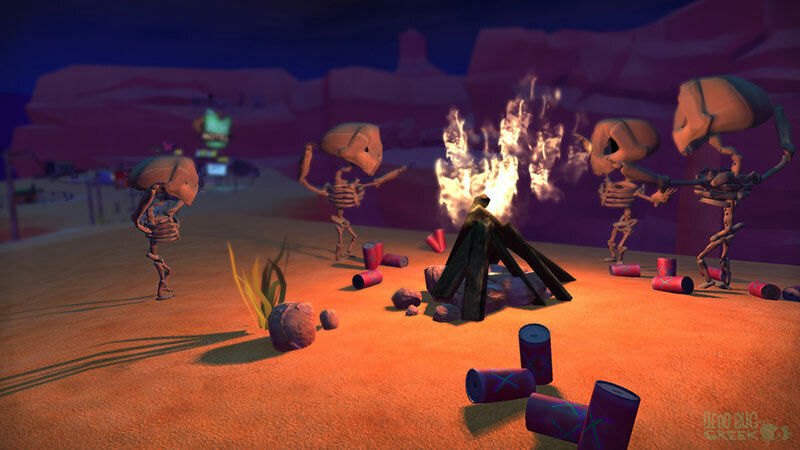 Dead Bug Creek was announced in January 2016 with initial support for Oculus Rift and later on added support for HTC Vive and on June 12, 2016, its developed California Rex announced that the game will be available for the PlayStation VR as well. Dead Bug Creek is a first-person adventure game, where you play as an alien explorer who is in a search for "The Ultimate Prize". The trailer doesn't reveal what that ultimate prize really is. The adventure takes place in a desert town called 'Dead Bug Creek', and thus the name of the game. In your journey, you'll be accompanied by a young girl called Flora. 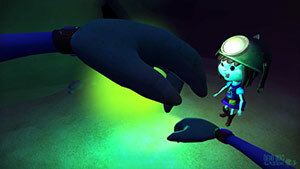 The gameplay is also focused on telling a story through exploration and character interactions. The game reminds me some of the classic adventure games, it has really charming vivid visuals, lovely characters, lots of places to explore, items and townsfolk to interact with. I think this game will be adored by those who love adventure games and miss the classic adventure games of the 90s. The fact that it's developed for VR makes it even better. The game features puzzles, narrative quests and many challenges that you need to undertake in order to get closer to finding out where that ultimate treasure lies. The characters in the game are really adorable and comic in some sense. I really liked the skeleton guy and the adorable blue bunny. I love this cuteness and humor in games, it really makes the game feel more welcoming and interesting, especially for the young audience. According to the screenshots, the game still uses high contrast lighting to produce a dramatic look and keep the tension and mystery going; but the game itself isn't dark and gray, but very colorful and inviting. Dead Bug Creek is coming to Oculus Rift, HTC Vive, and PlayStation VR. Check out the official trailer below.